Melissa Hege, AICP of South Florida-based Melissa Hege City Planning LLC. 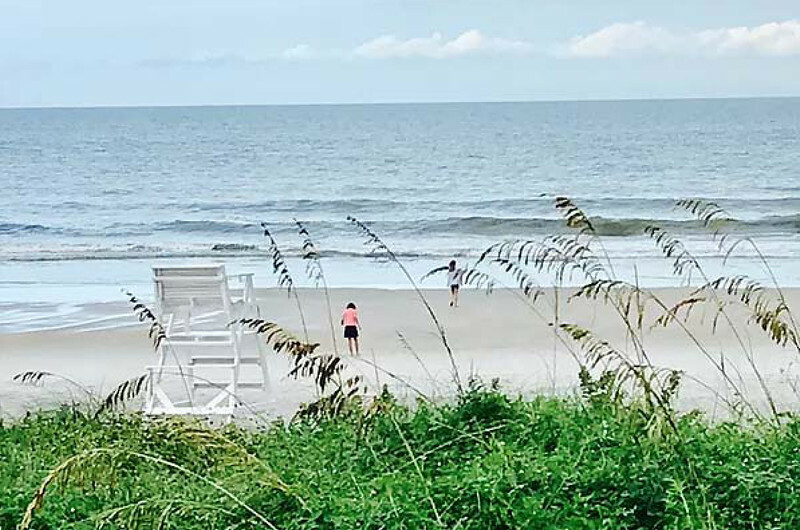 takes a trip to Ponte Vedra Beach, Florida, discovering a sleepy beach town with an unbelievable wow factor. 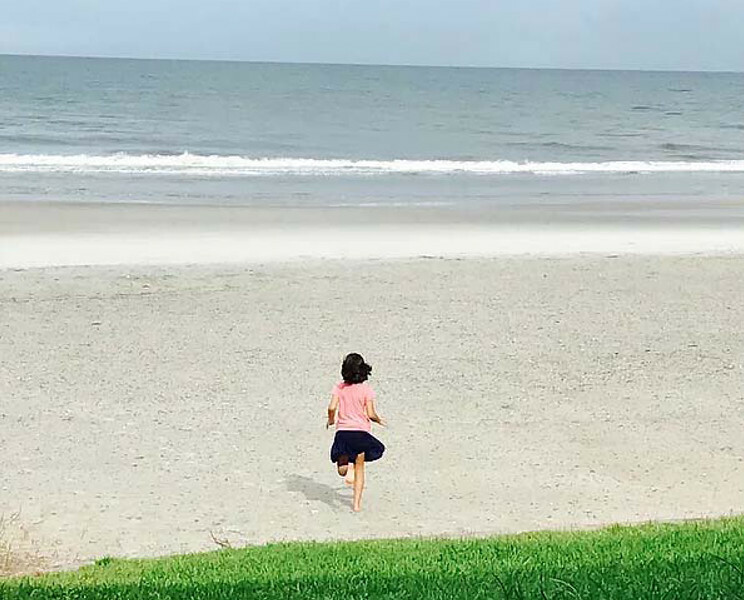 The last leg of our summer road trip was a sleepy beach town with an unbelievable wow factor. 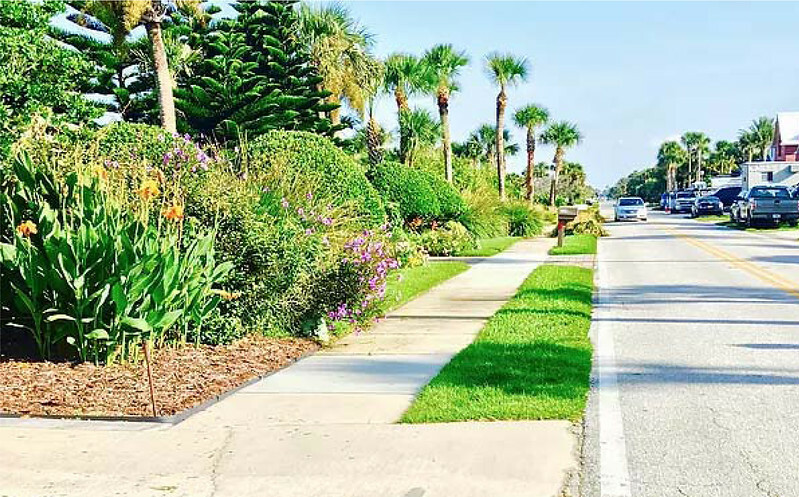 It had the trifecta for city planner types like me: water, luscious landscaping and the most adorable 2-lane street perfect for walking, biking and cruising in your car. Folks I found what we planners call a complete street in a beach haven. Let’s start with a little bit of history. 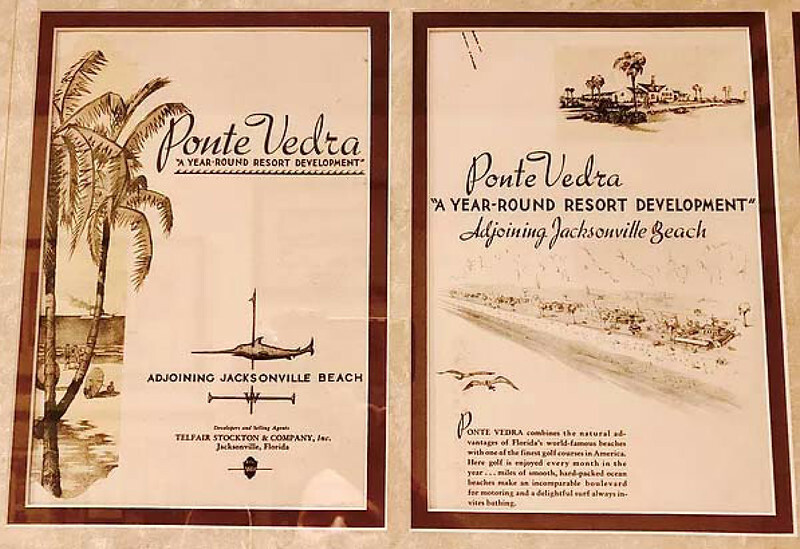 Ponte Vedra is a small beach town community on the coast of Jacksonville developed in the 1920s as a year-round resort development. Resort life all year sounds terrific! 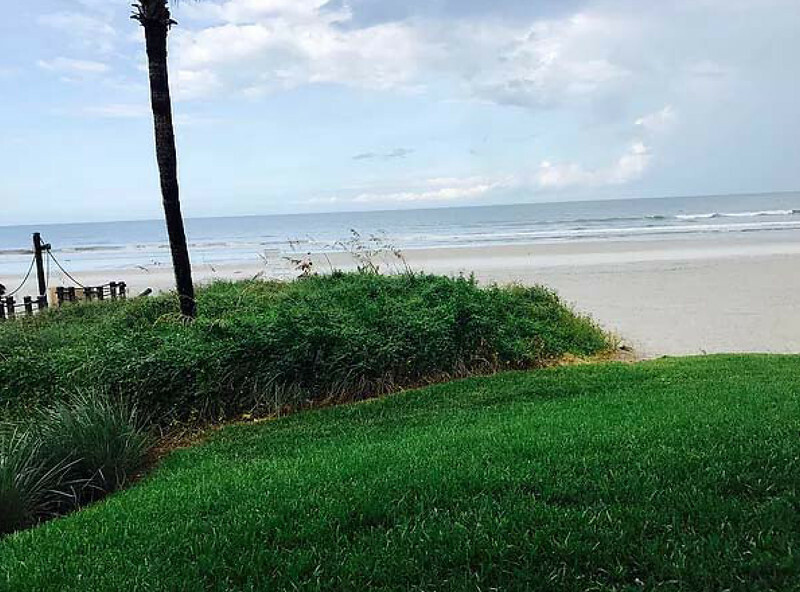 It’s the ultimate Florida promise of sun and relaxation, and let’s not forget golf. And who wouldn’t love this??!! Check out the view from our beach house. My kids sure enjoyed it. But here’s what I really enjoyed. This roadway is the main access to the residential section of Ponte Vedra. It is perfectly designed to balance space for cars, people on foot and bicycles. 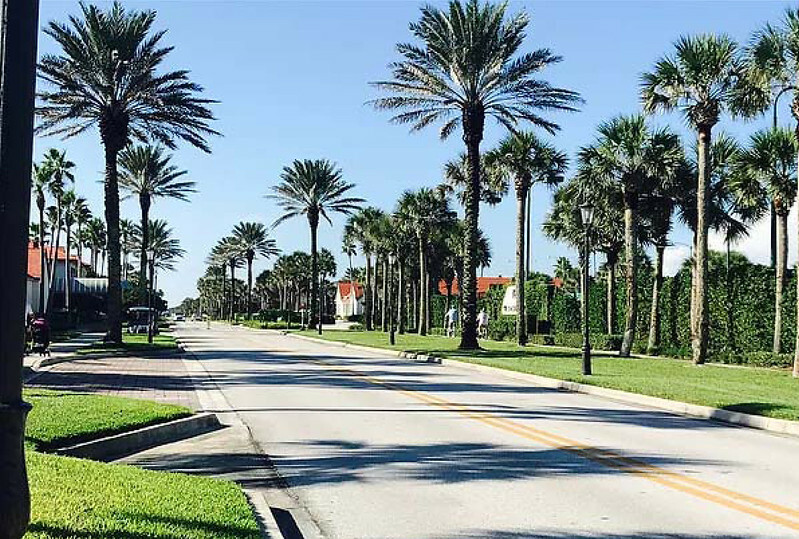 A wide landscaped strip separates the sidewalk from the moving traffic with a simple and elegant line of palm trees. It just feels good. There is space for everyone and no one is fighting for it. Walkers coexist with cars, golf carts and cyclists. Sure it may be idyllic, but there’s no reason why this type of design couldn’t be replicated in other places and even, dare I say, Miami. And let’s talk about the landscaping. Perfectly erect palm trees on either side of the street frame the space making it feel nice and cozy. Lots of green grass visually breaks up the gray asphalt and rather simple concrete sidewalk. Shorter vegetation below the palm trees creates a variety of textures and colors which are really beautiful. They’ve nailed the landscaping. Here it is again, further down the street. This shot has so many beautiful flowers. Imagine strolling down this street. It’s a comfortable space which is visually attractive. And it’s the visual appeal that makes it so comfortable. 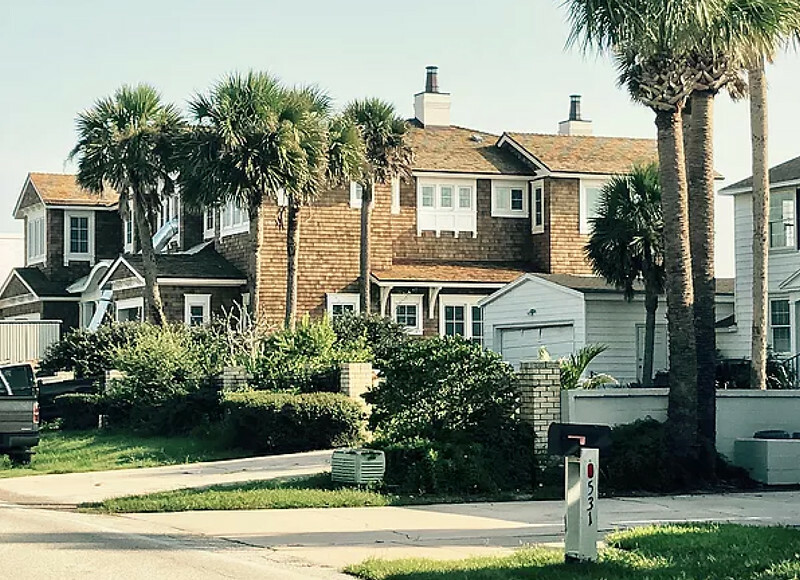 And when you combine a great street design with beautiful landscaping just steps from the beach, you find some pretty spectacular homes which are not hidden from view behind gates and stone walls. They have become part of the landscape. I chose this house above because it looks like a New England beach house, where I grew up. It’s completely wrong in Florida, but here it blends in nicely with the streetscape. 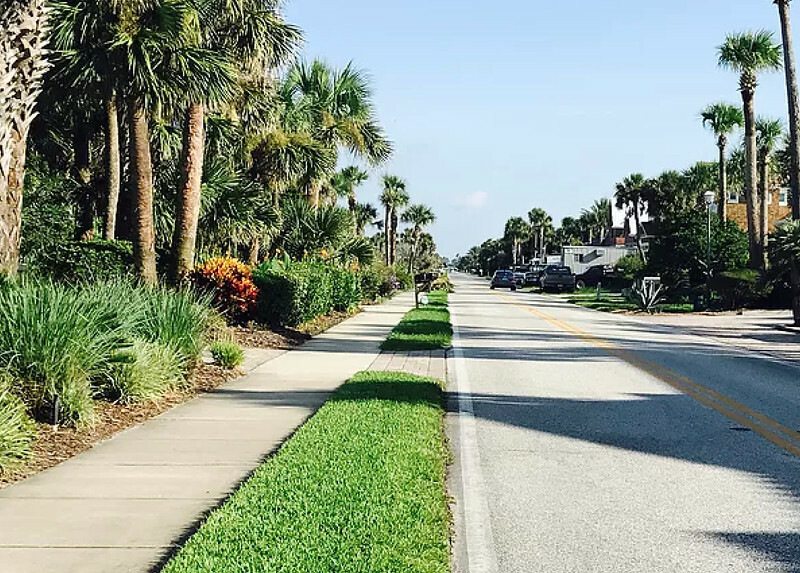 Ponte Vedra is a charming beach town that figured out how to make comfortable roadways with space for everyone with lush landscaping, bright green colors, wide sidewalks, bike lanes, narrow lanes for moving traffic and large homes up front and alongside the roads. And it shows. 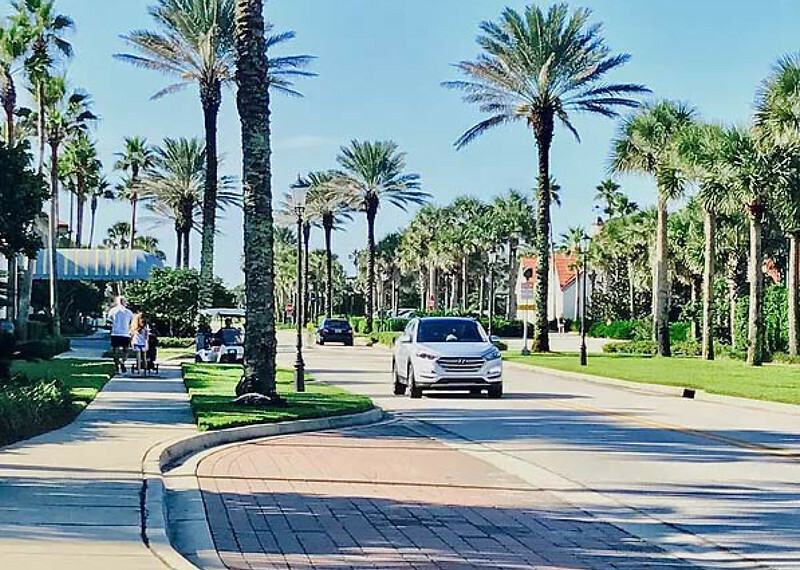 Our time there, Ponte Vedra Boulevard was full of people walking, jogging, biking and exploring. It is an active community with an active and complete street. The water may not be aqua blue like the beaches further south, but the town is stunning still because their main roadway was designed with thought and care. Article originally posted by Melissa Hege, AICP at www.Melissahege.com. Melissa Hege, AICP, LEED AP, practices planning and urban design in one of the Country’s most envied and envious iconic cities—the Republic of Miami. For more than a decade, she has enjoyed the juxtaposition of the region’s beauty and dysfunction, and continues to learn from it daily. Educated at the University of Pennsylvania and Brandeis University, her portfolio includes award winning plans which translate design based solutions into practical applications. In her current practice, Melissa Hege City Planning, she straddles the roles of planner and community advocate by exploring infrastructure investments which add exponential value to cities. These include waterfront parks, bicycle and pedestrian trails, and complete streets—streets which have comfortable and protected zones for bicycles, pedestrians, cars, and transit. She is currently developing a waterfront pop-up installation on Miami’s Biscayne Bay to demonstrate the potential value of a permanently improved and connected waterfront trail in downtown Miami. Other recent projects include an interactive web based tool to visually track all multi-agency infrastructure improvements in downtown Miami and a Complete Streets forum for local municipalities in partnership with Miami Dade County.